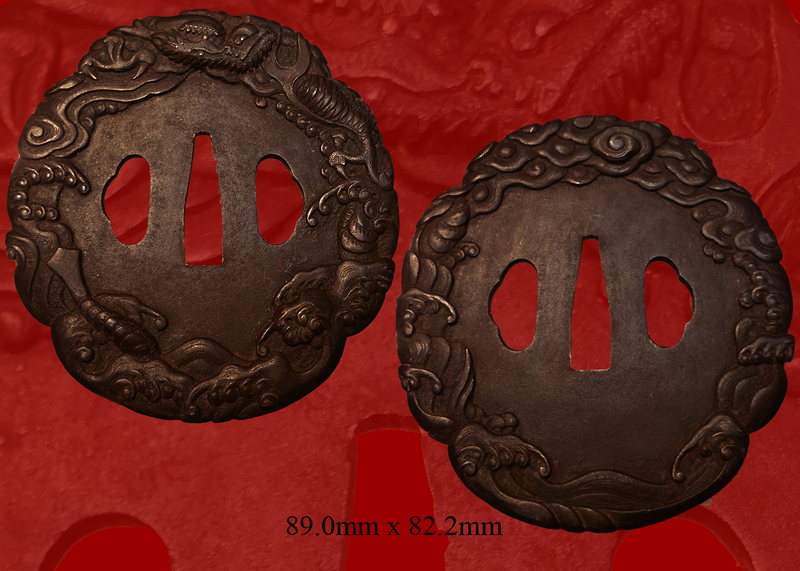 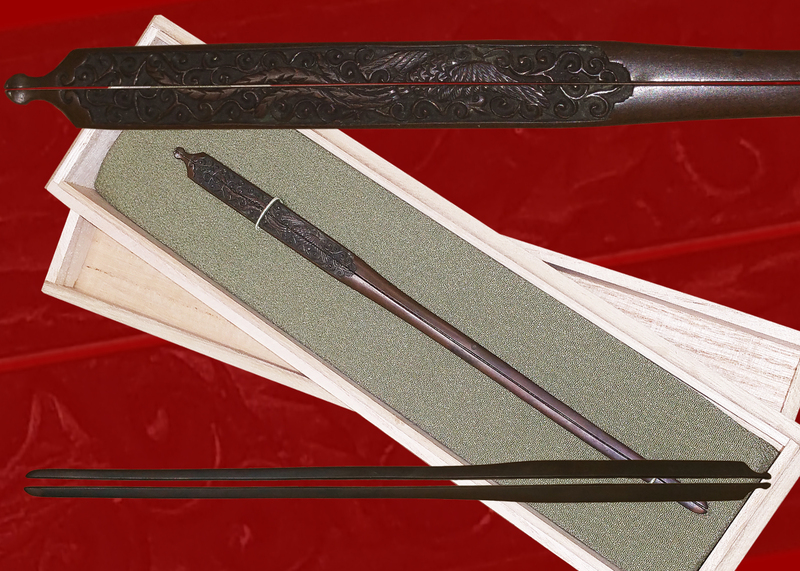 with unique workmanship of the mino den. 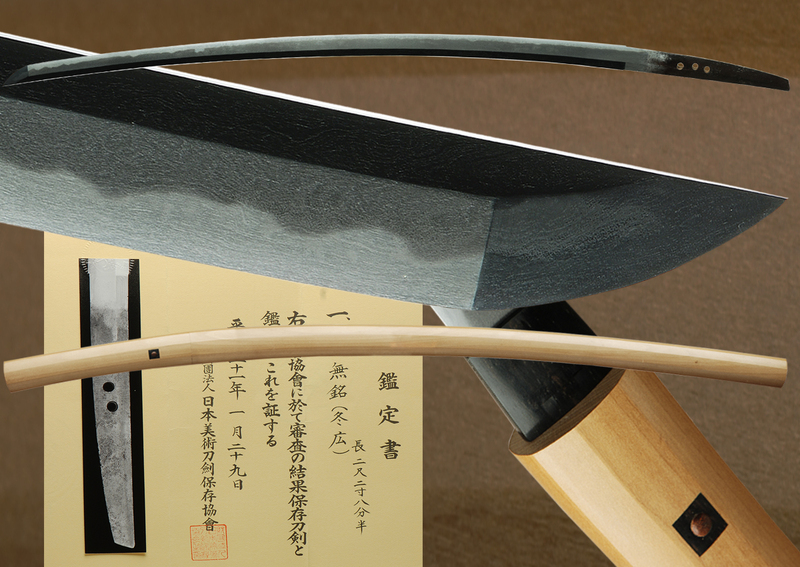 This longish blade sports a picture perfect sugata with a longish kissaki. 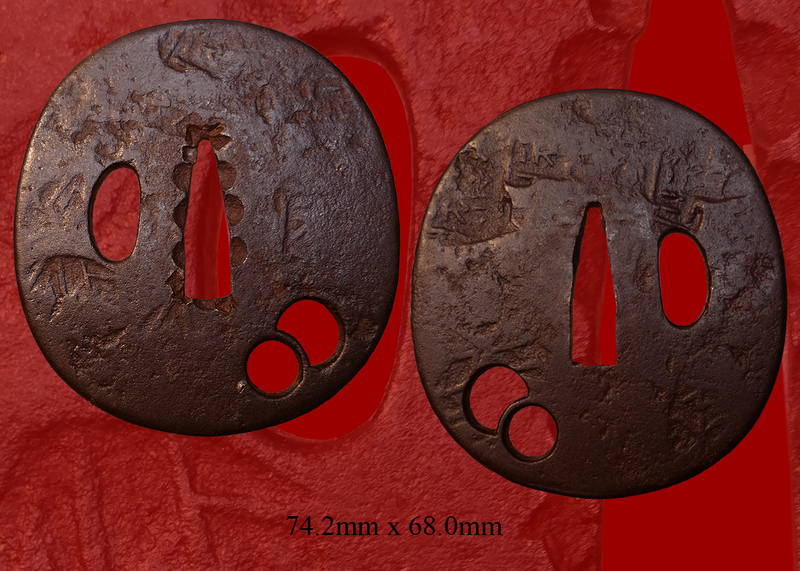 There is a horimono in the form of bohi which stops just above the yokote area. 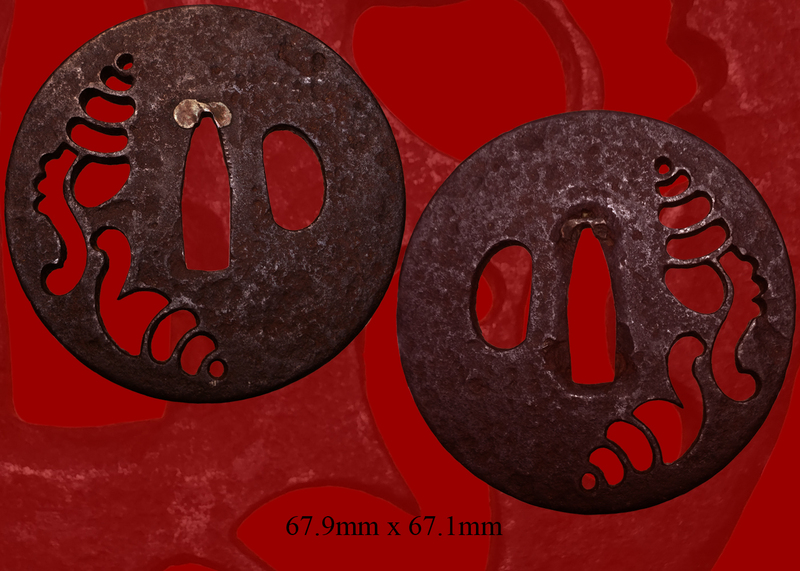 This Bohi finishes in the machi area and is rounded called maru-dome. 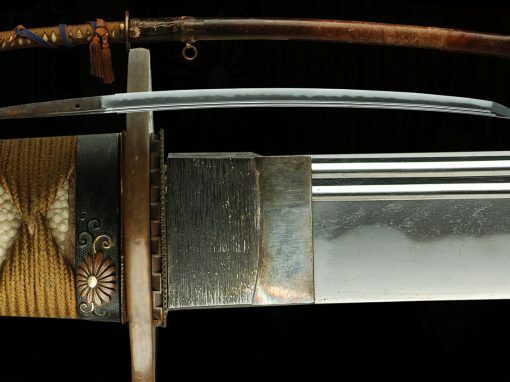 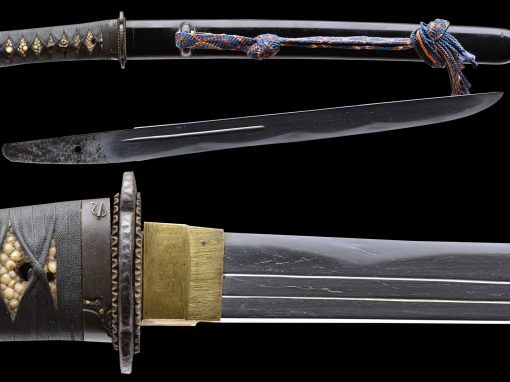 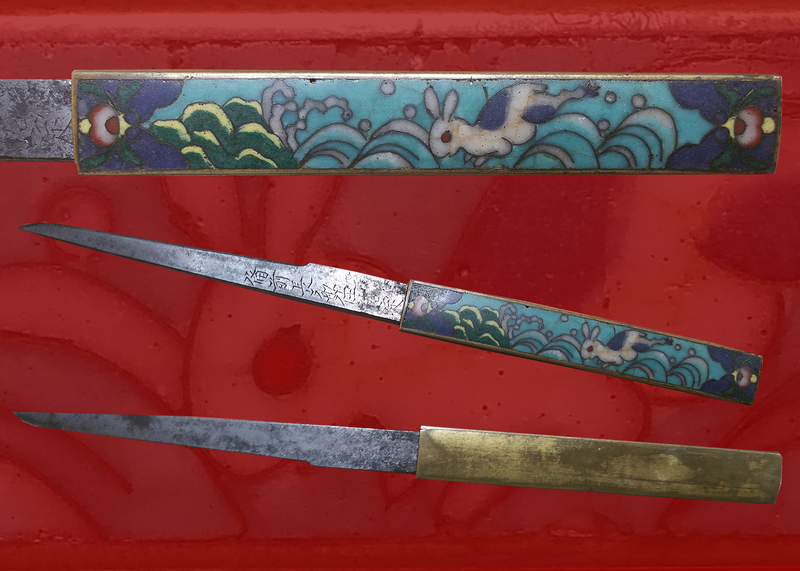 Horimono such as this example are relatively rare in koto blades but accentuates the overall shape of this sword and adds to its period sugata. 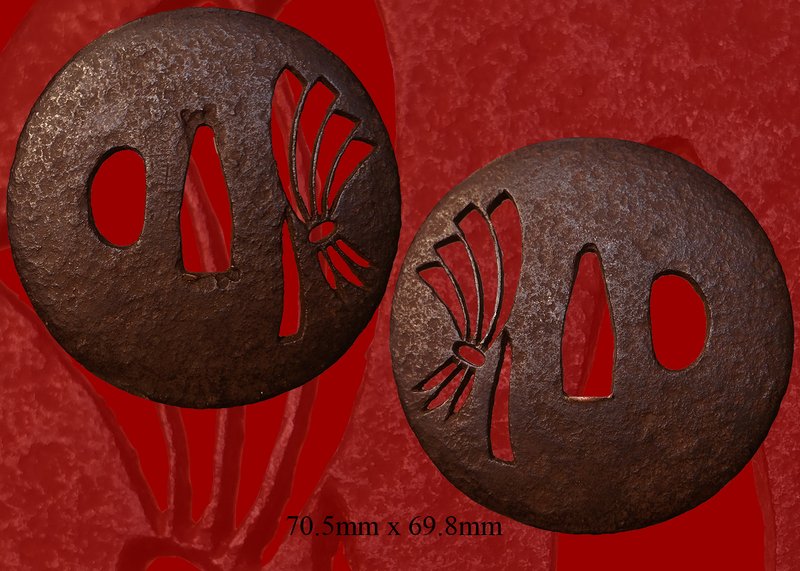 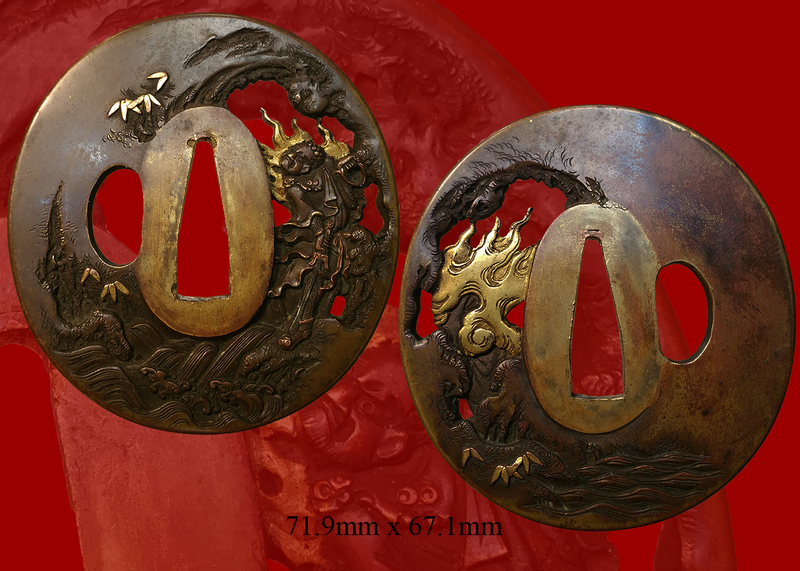 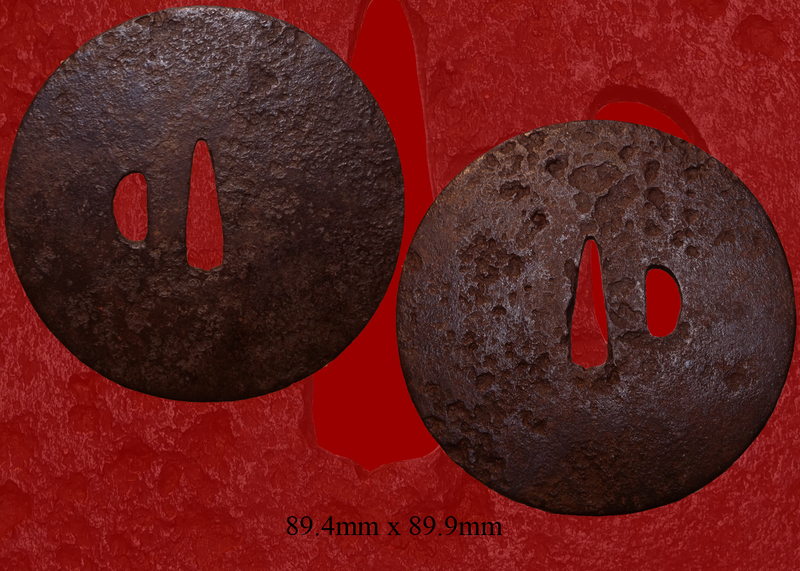 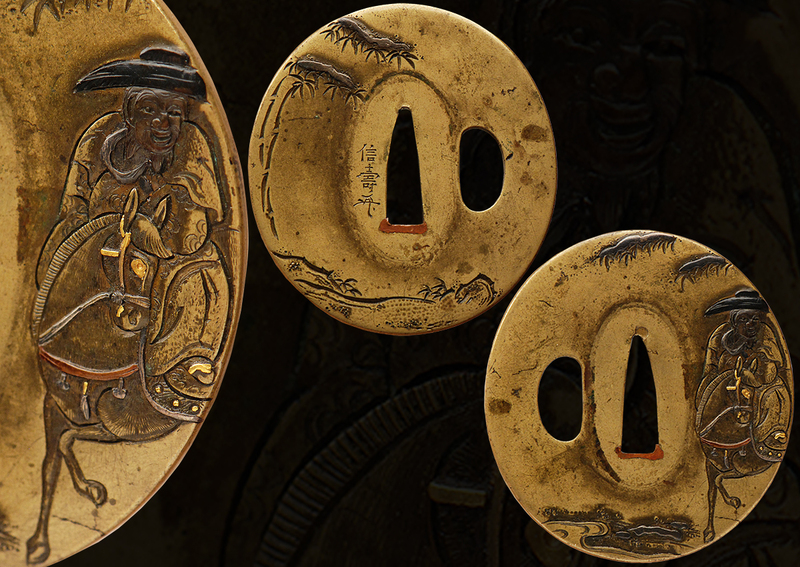 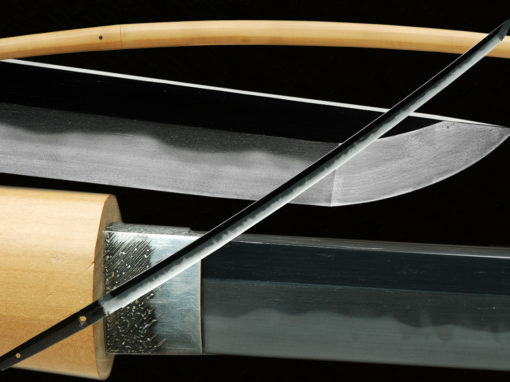 The tang is longish and ubu with one hole and finished as Ha agari kurijiri. 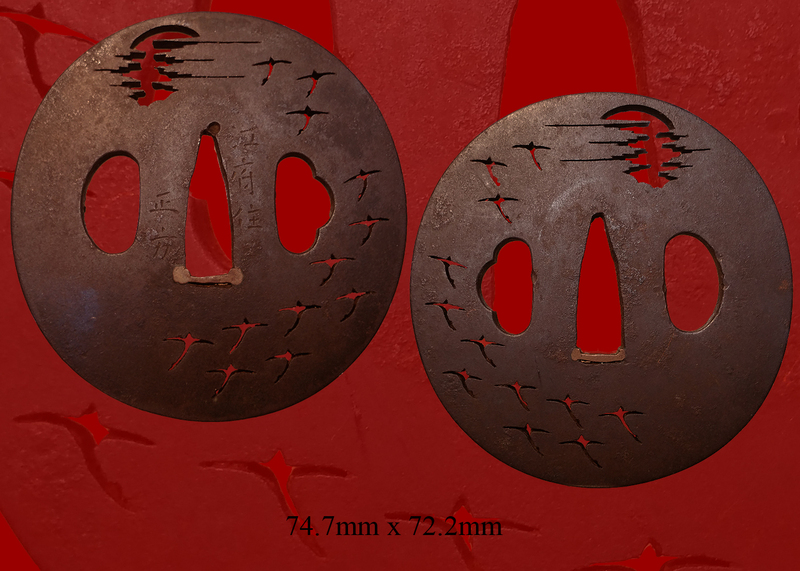 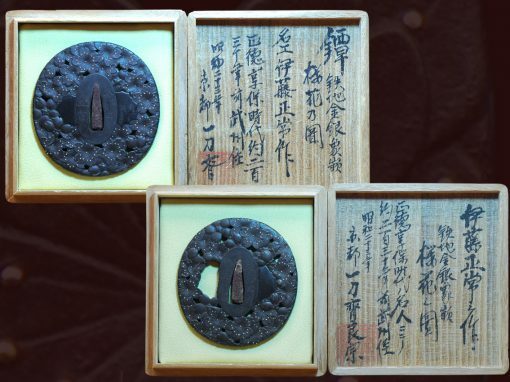 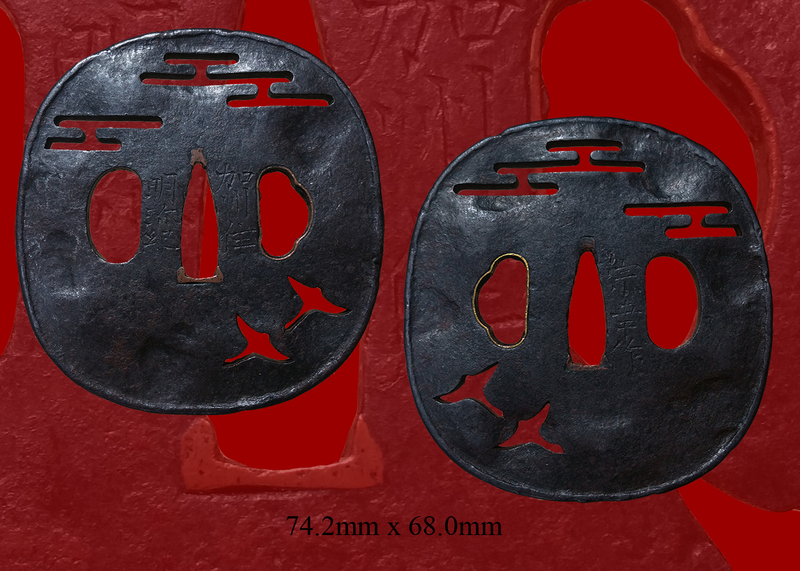 The kissaki can almost be classified as O-kissaki, also there is small tempering at the boshi and is favoring notare-komi.The hada is a swirling patten of itame with Chikei and ji-nie can be found. 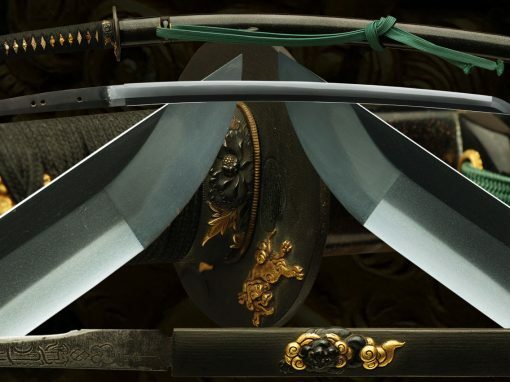 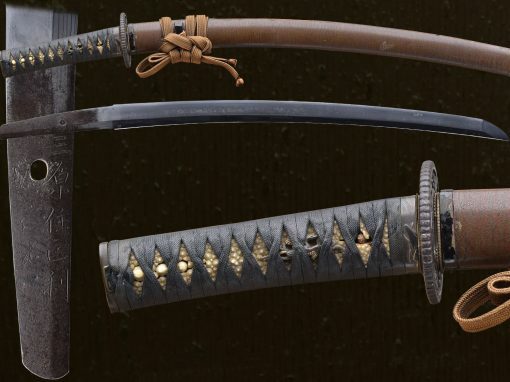 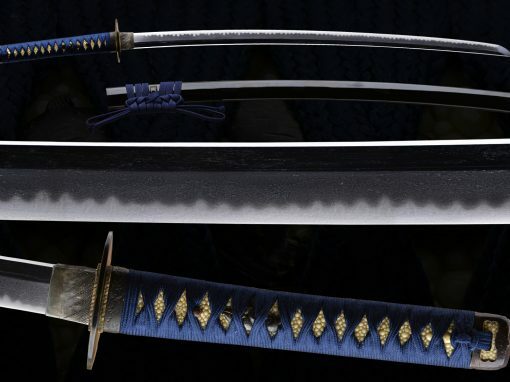 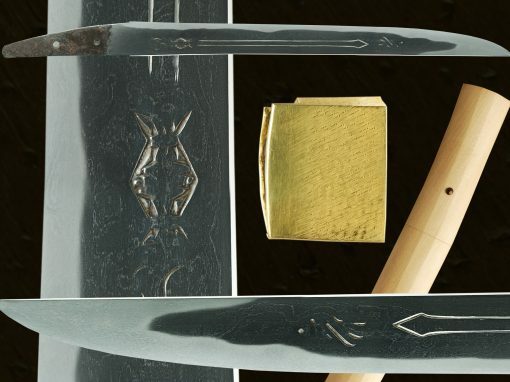 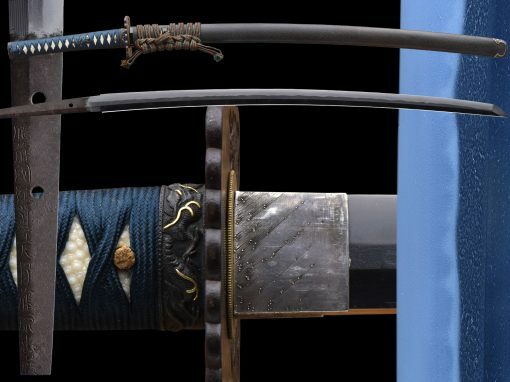 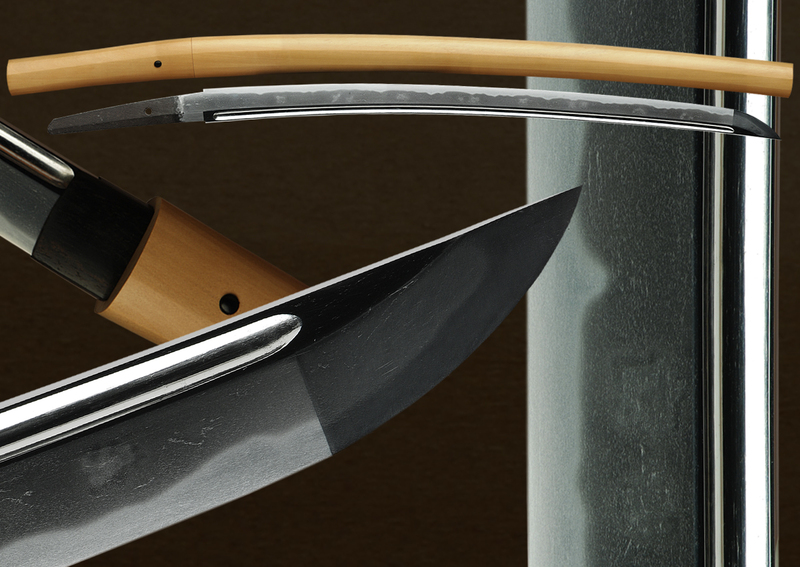 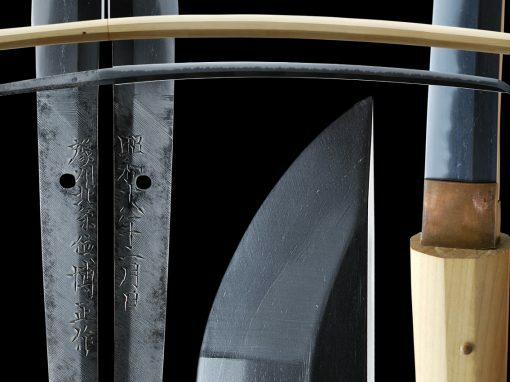 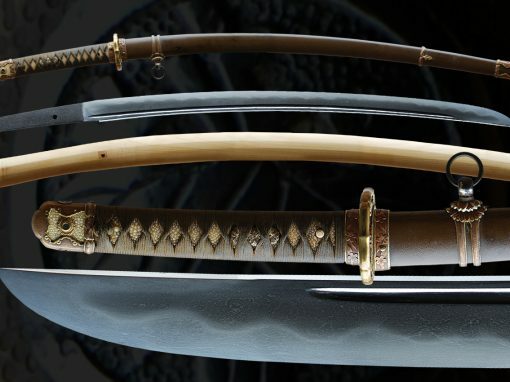 The hamon is very unusual with a mountainess notare with gunome-midare, there are wisps of yubashiri forming into tobyaki in places running through the length of the blade above the hamon. 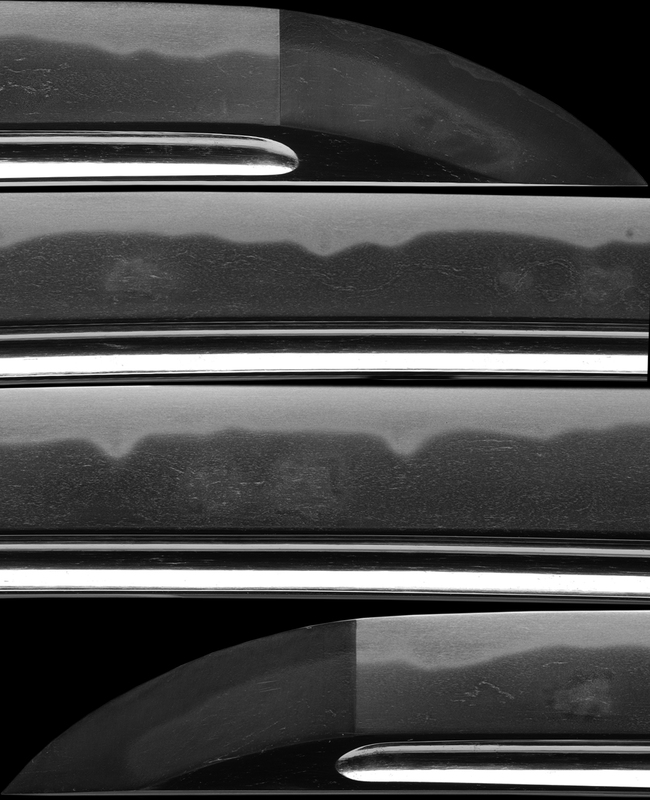 These areas are cloud like floating above the hamon. 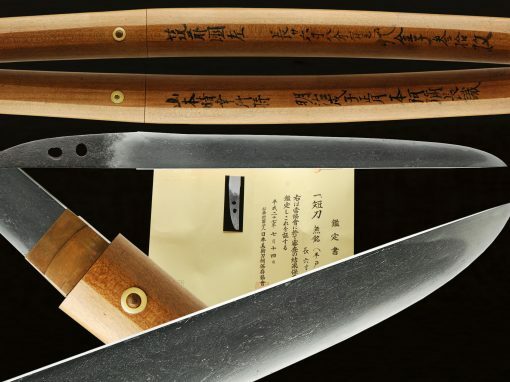 The extreme health of this blade is something to be seen. 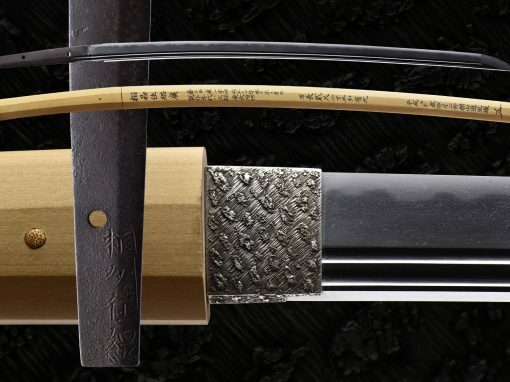 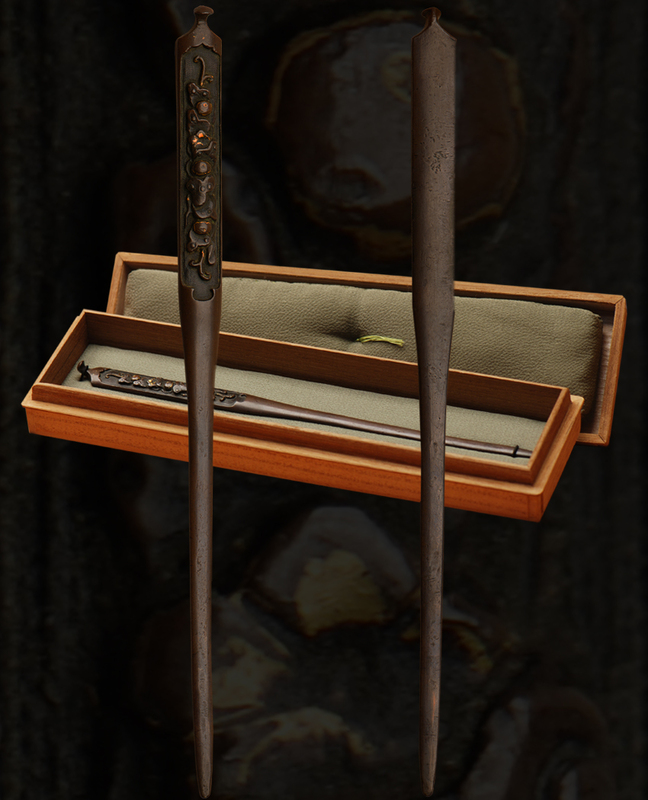 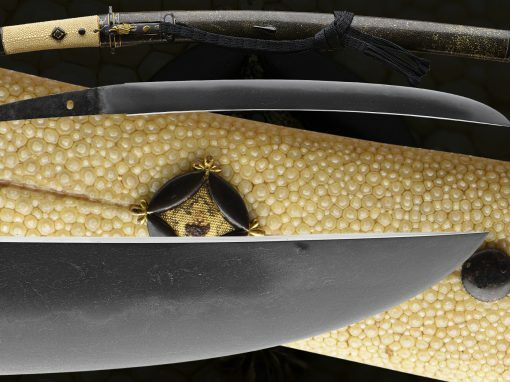 This blade was mounted in shirasaya with a mekugi of ebony with a matching ebony wood habaki which shows the pride that the owner had in this sword. 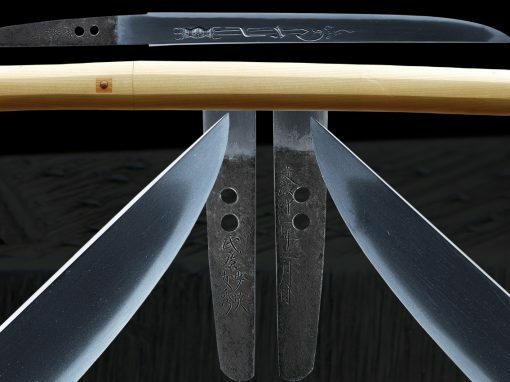 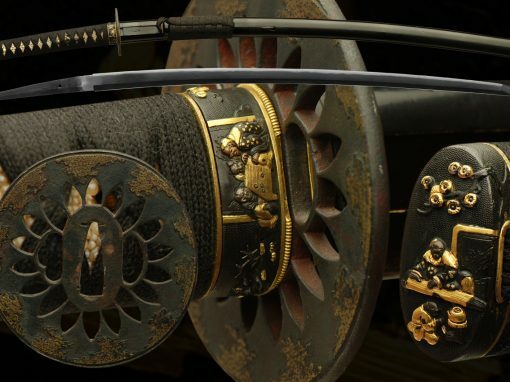 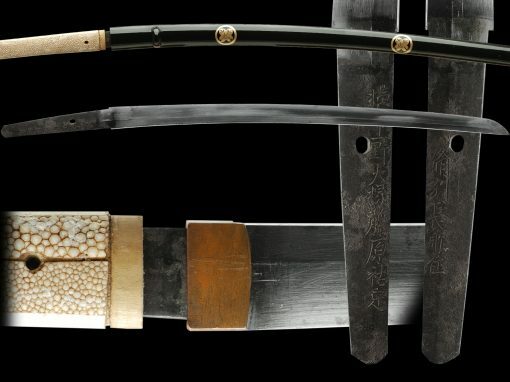 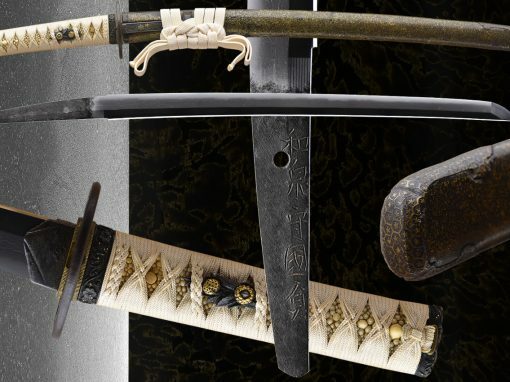 The unique characteristics along with the beautiful sugata of the blade papered to koto, Kanesaki mino den of the Tensho period. 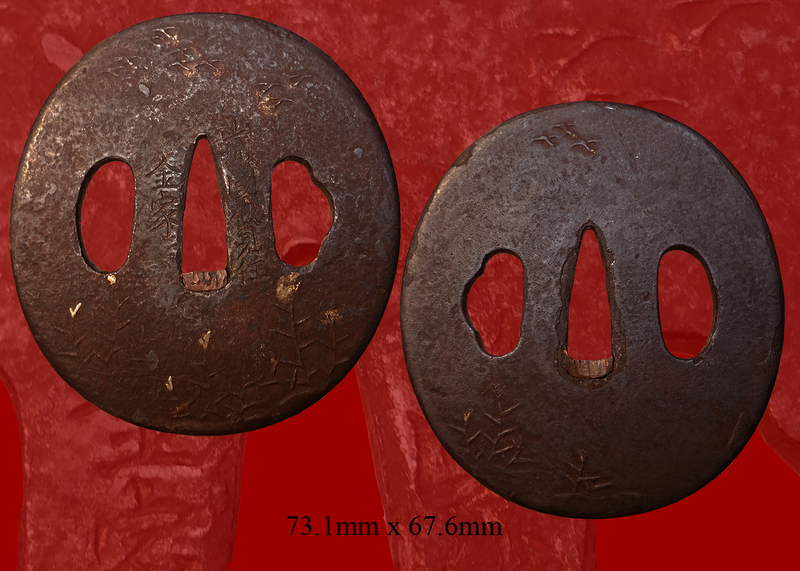 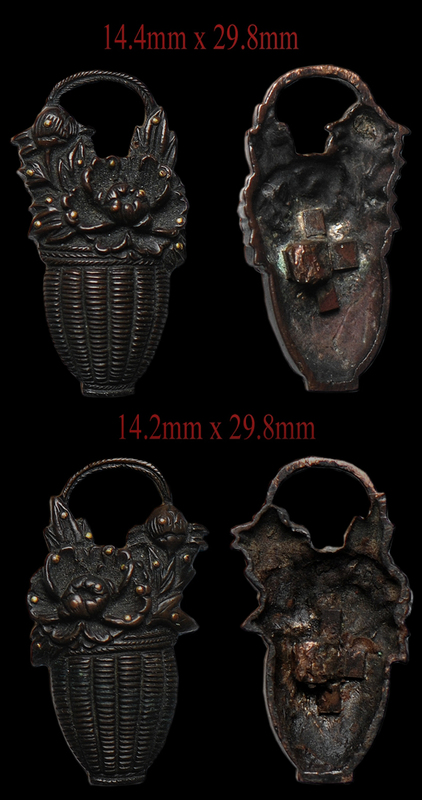 Email us if your interested in this item and remember to include the order number for this item: fss-715. 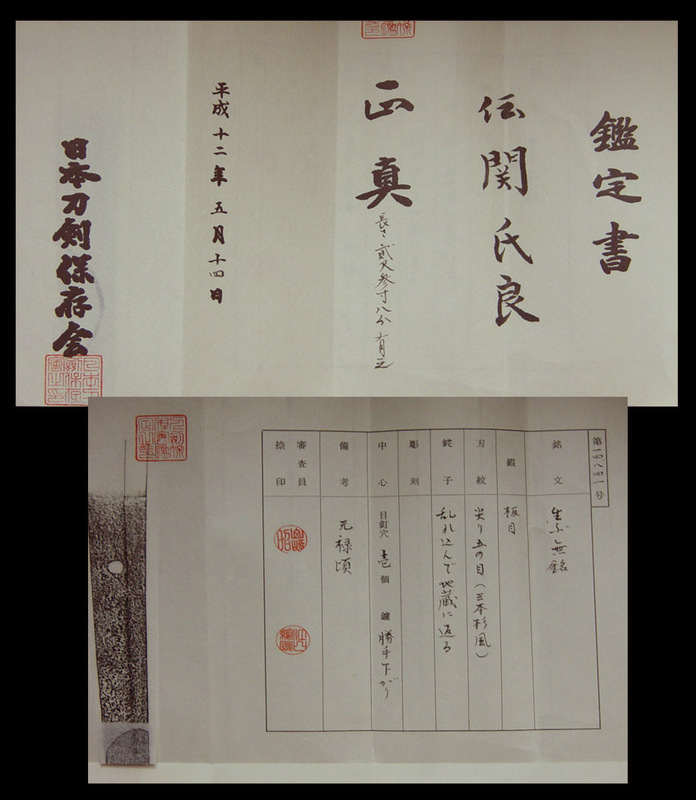 New papers information will be uploaded very soon. 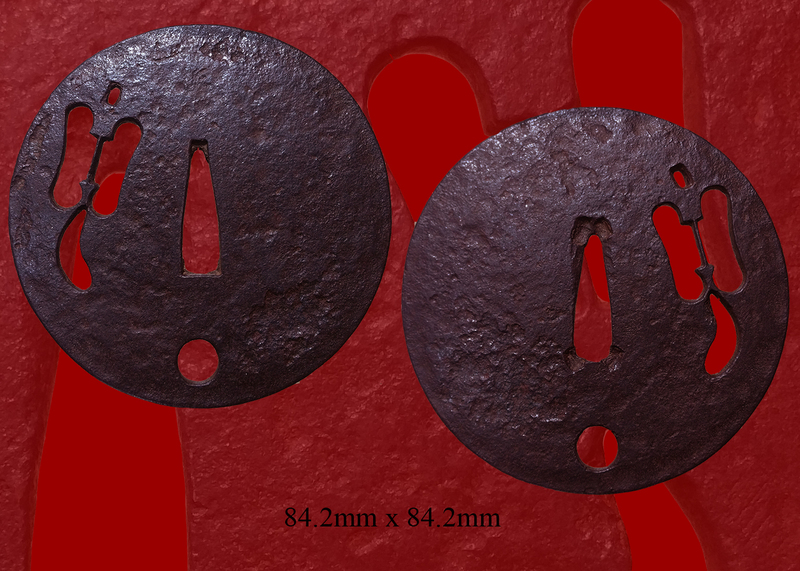 attesting to maker and quality. 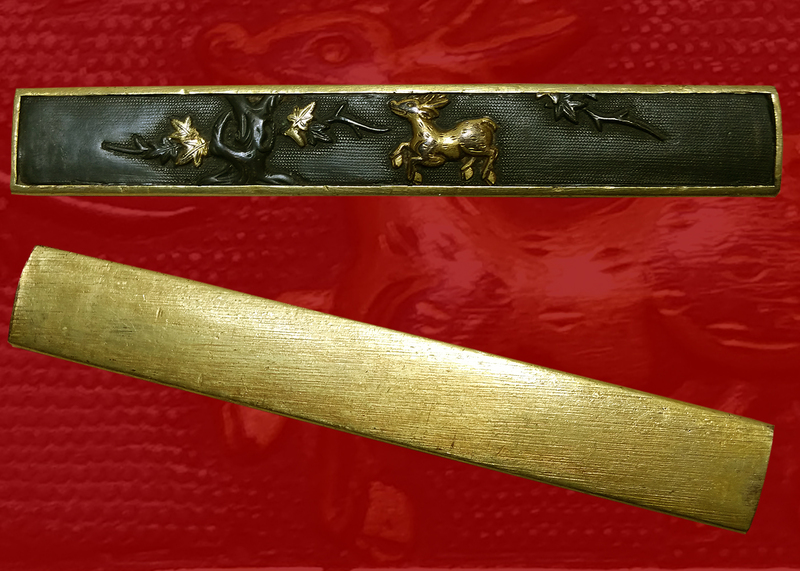 from John for harry’s family.